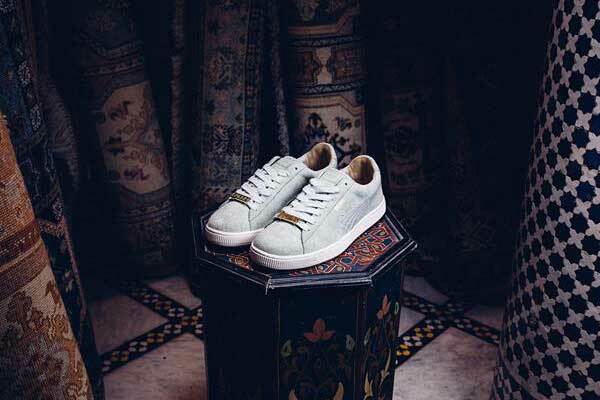 The Suede’s 50th anniversary celebration gets a special addition as global sports brand PUMA teams up with Berlin-based sneaker designer and aficionado, Hikmet Sugoer, to celebrate 50 years of Suede. 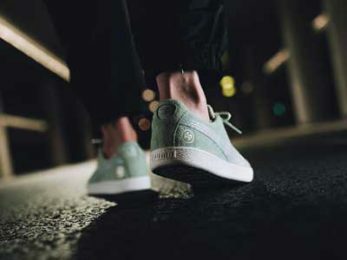 Bringing decades of sneaker designing experience to recreate the classic silhouette, the limited-edition PUMA x SONRA is a handcrafted must-have. Turning a new page in sneaker design, Hikmet’s latest venture, SONRA, is focused on making sustainable sneakers. A true sneaker head and trusted industry leader #ForAllTime, he puts his passion and personal dream in every single pair. For Suede 50th Anniversary drop, he draws inspiration from his surroundings and cultural roots. He refreshes the iconic Suede with organic materials, featuring a textured Formstrip and leather upper in naturally tanned Green Lily colorway. Made in Europe and inspired by intricate Turkish carpet design, the street shoes are handcrafted to perfectio. “Yiprat”, a Turkish word for ‘wear down’ is mirror-printed on the soles, signifying that shoes are meant to be worn and not displayed on the shelf. Dropping globally on PUMA.com and select stores on 30th August, grab these exclusive kicks before they are gone.